For nine months, this precious jewel was ‘carried’ around by her mommy. I have a ‘few’ things to say this little one. I have a not so short tale with details about the journey thus far. You better learn to read by the time you are three. We plan on having you speak at least two other International languages so perhaps your reply to this shall be in French. Oui? Your mommy is the life of the party you know, and even when she was rocking her bump, she made sure to rock the parties too. She was always the one suggesting where we should go and what to do while everyone was thinking “Shouldn’t you be resting.” We even went to one of her favourite places, Bule island and took part in some pretty daring activities. Of course my heart was somewhere in my foot but I had to force smiles and scream ‘yaay.’ Nonetheless it was a lot of fun. When you grow older, we shall surely visit so you can enjoy the breeze and later take part. When we went for the scans, I longed for the part when your heartbeat was on ‘loud speaker’ then grinned like a kid at Disney World. I even got my very own autographed picture of you at about 5 months, to say I had fomo would be an understatement. As for the day I found out you were a girl, hehe, let’s just the hospital almost called security- sheer excitement! Random Side note: Mommy has OCD and I can’t help with that because it is contagious so oba we accept early enough and deal with it? Deal? Fast forward to your baby shower at the beginning on this month. See your mummy looking radiant, special food plus cake and excited aunts 🙂 It was a good day, and it was all in your honour. Stars are born or made or… I don’t even know where I am going with this but, you will understand the randomness with time. We accepted that you were planning a grand entrance and pretended to go on with our lives. Meanwhile your poor mother was getting messages of ‘anything yet’ constantly. The pressure was killing her. The ‘sharp ones’ decided to stalk other ‘sources’ for the info. Hihi, it was hilarious. Sadly for her, I am an afande (story for another day) and was soon in on it. When I finally sent your mummy a text I asked only one thing, that you wait till Saturday when I can be present. After planning to hold her hand through labour, how could I miss it? No please. Your mummy was in pain but I mastered the art of calmness. What my heart was going through, only God knows. I kept getting up each time a nurse came out carrying a baby, including a set of twins. The doctors told me to sit still. “How can you stand up after seeing a nurse in pink yet the one who went for your baby is wearing white?” I had to be fine. The way your birth was being anticipated meanwhile, I was getting messages of ‘uh huh, any news?’ even from the diaspora. Eventually the nurse came back to get your first clothes, socks and gloves and I knew it would only be a matter of minutes before I saw you. She obviously took forever but you were worth the wait! It felt like hours but a little after 12.30 you were brought…to me!!! *shriek*When I held your not so little body (3.4kg) in my arms, the world became still for a moment. You were(are) so beautiful and peaceful and and…..sigh. I asked about your mommy and the nurse said she would come out. I handed you to one of your many grannies and she too was amazed. So we just sat and stared at you while complaining about your mum’s delay. Eventually she came but was still drugged so we had to wait a little longer before unveiling her miracle. When she awoke, the first thing she said was “Is she hot?” We burst into laughter and I knew in that instant, a wonderful story had began. The first time she held you brought tears to my eyes, it was simply magical! The bond between mother and daughter is surely the most amazing of them all. Here we are, 8 days after your birth and I still think about you everyday. As for your mommy, you are without a doubt the best gift she has ever had. Together, your names mean “A beautiful goddess – a star.” What more can we say? Here is to years of watching you become the star that you were born to be. Much love from mommy, the endless queue of potential God parents, aunts and uncles. Why do I *sob sob* suddenly feel like shedding a tear? And what is this *sob sob* strange feeling inside my heart? As if *sob sob* I am reading the sweetest story ever written? Why *sob sob* do I feel like I need to start practicing my Uncle skills? 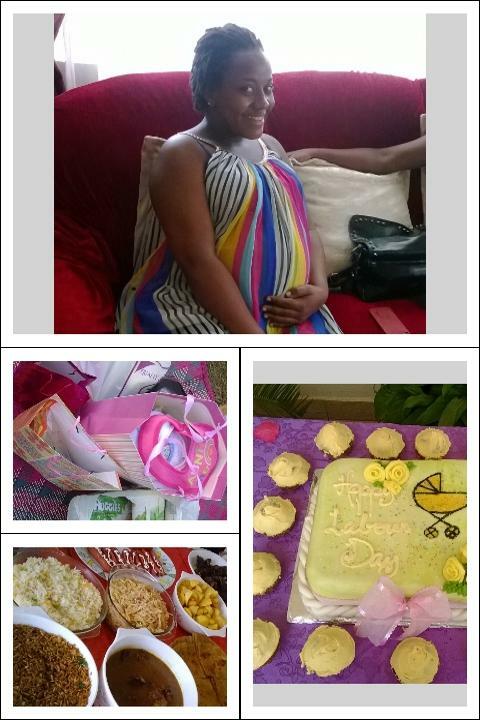 Banange the FOMO for this ka baby … the aunties took over but you just wait for the Uncles. We are coming in full swing. After the aunties have had their moment, we will also have our moment. 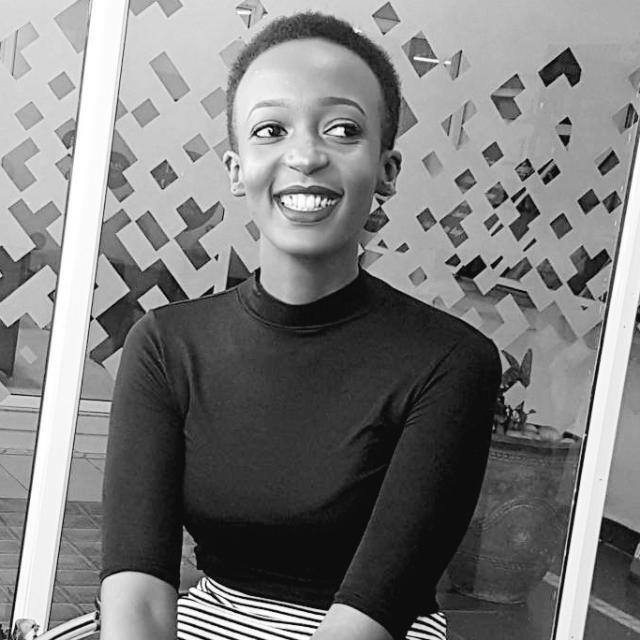 In other news … Estella Athena Karungi … WOW! Sounds like a Princess to me. Welcome to the world my love and like madam afande *cough cough* has said, welcome to the 40-40 family! Konka we love you vewi vewi much!